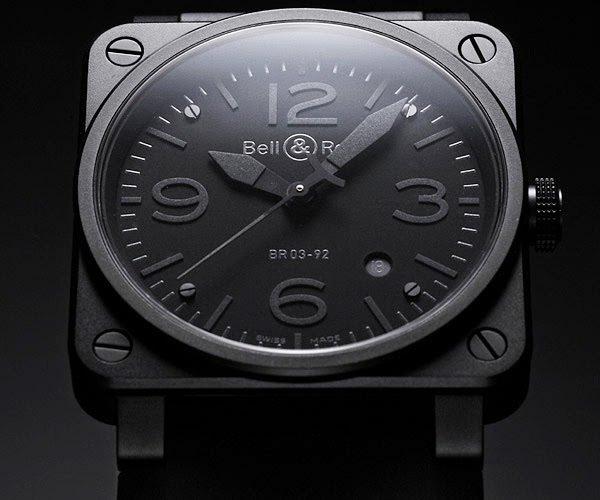 As an aviation watch for professional use, the BR 03 with its 42mm diameter is a smaller version of the 46mm BR 01. The BR 03 Phantom was designed in reference to stealth bombers - undetectable, yet never totally invisible.... The integral black dial is discretely legible.